Made in the Himalayas from the finest Botanicals. 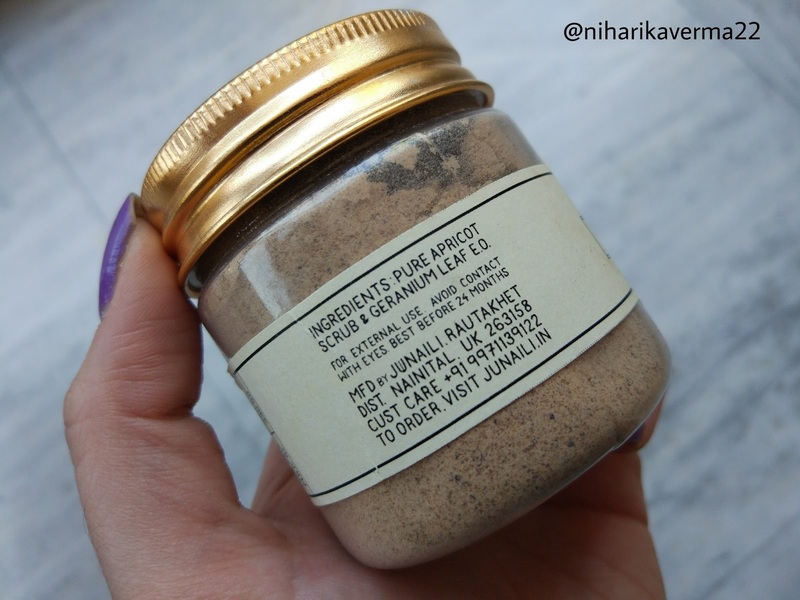 This gentle exfoliating scrub is 100% Pure & Chemical Free. For Best Results, combine scrub with water or milk. Suitable for all skin types. 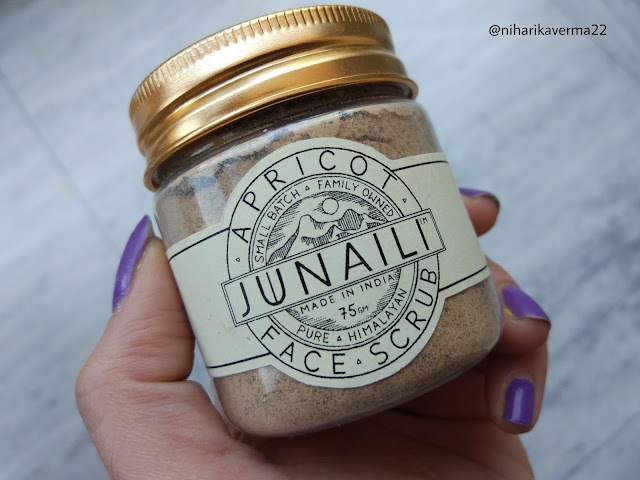 This Apricot Face Scrub is newly launched and will be soon available on their website :) Meanwhile check out their complete range here. 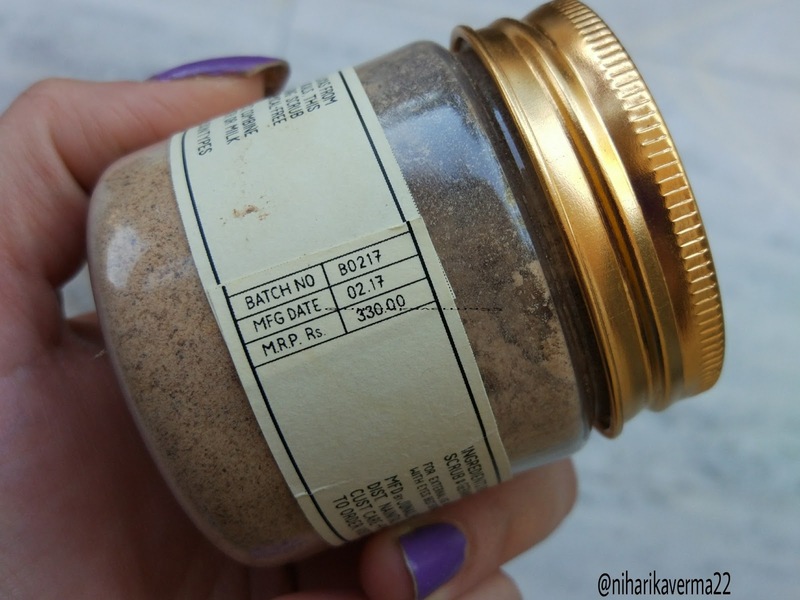 👉Color & Consistency: It is a fine powder nutty brown in color & has to be mixed with water or milk to form a paste. 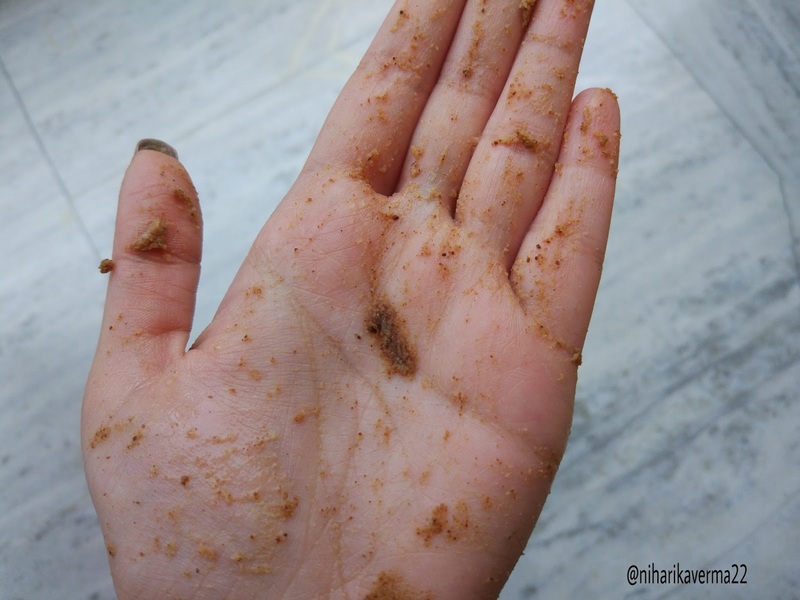 After turning into a paste it forms lumps like texture which exfoliates the skin. 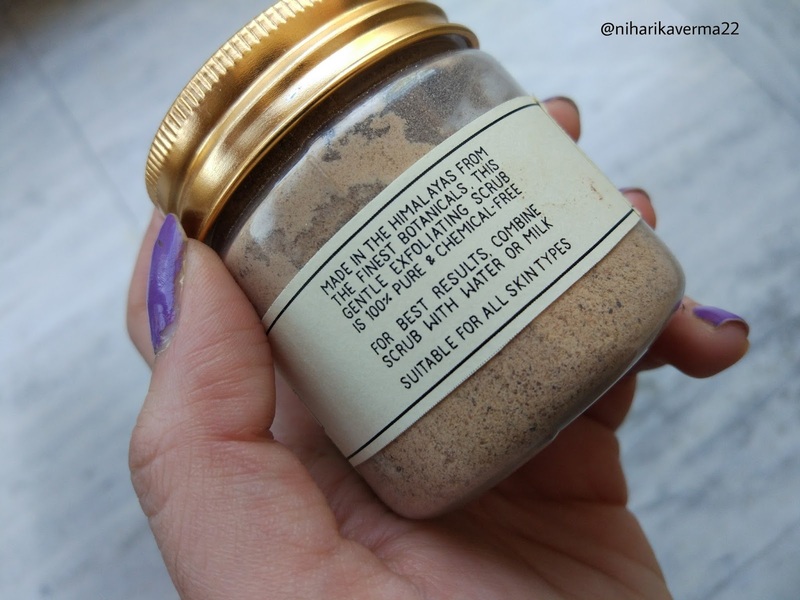 👉Effectiveness: It is the purest scrub I've ever tried. 😍 It doesn't form any lather & neither is creamy in texture. It is just like freshly made powder of apricot and now I'm using it mixing it with water. 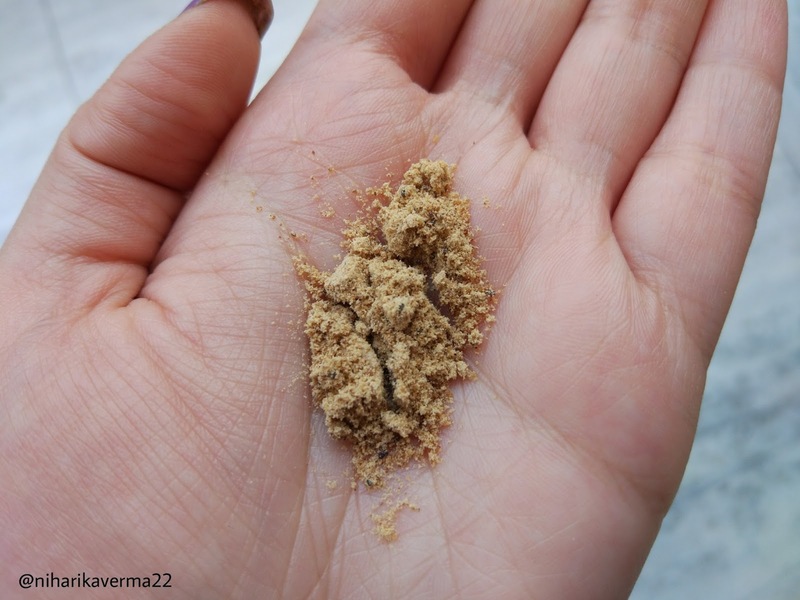 Forms lumps when mixed with water & gently exfoliated the skin. 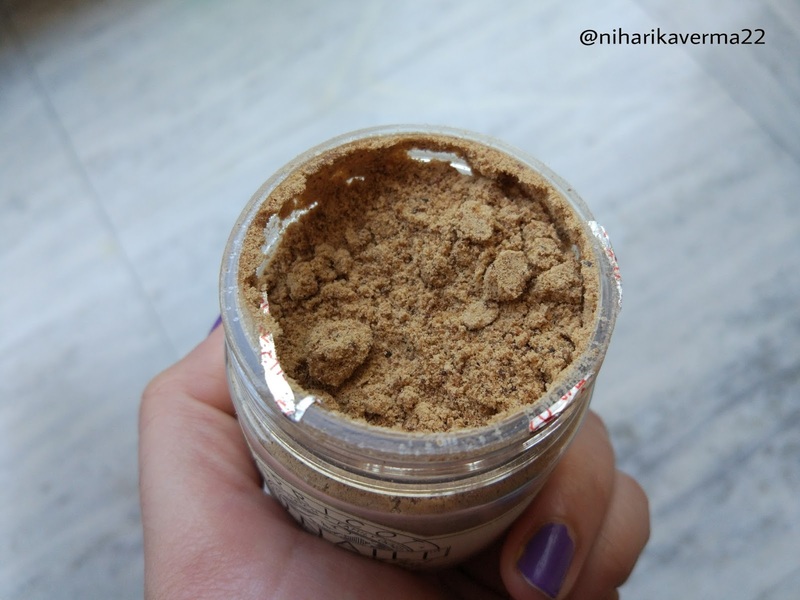 The Mixture feels like a combination of powder & added granules which are neither harsh nor mild on skin. 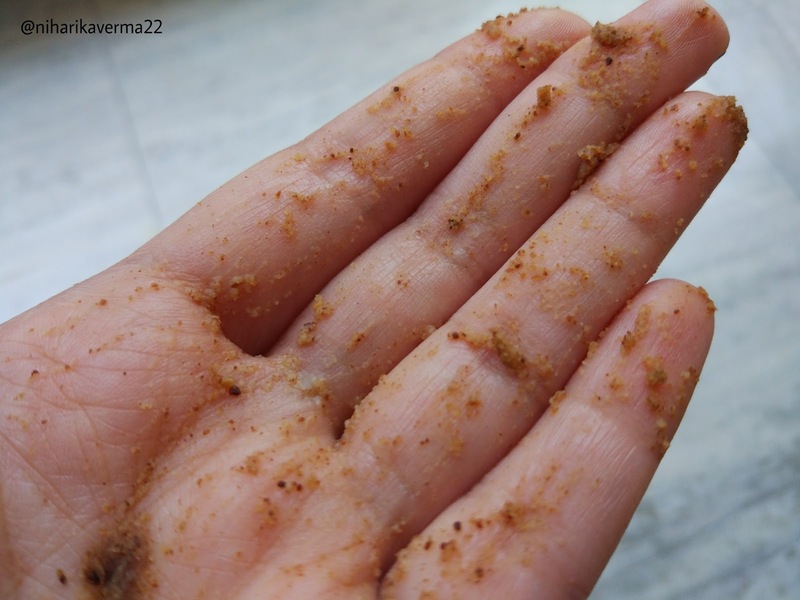 You can feel the tiny round granules while rubbing it in between your hands. I massage for about 2-5 minutes and while washing off I was able to feel that soft, buffed & smooth skin. It really removes all the oil heads, white heads, the upper layer of dead cell & brings out the inner fresh skin :) Though it is not cleanser but it totally removed upper oily layer & my face was oil free for hours. 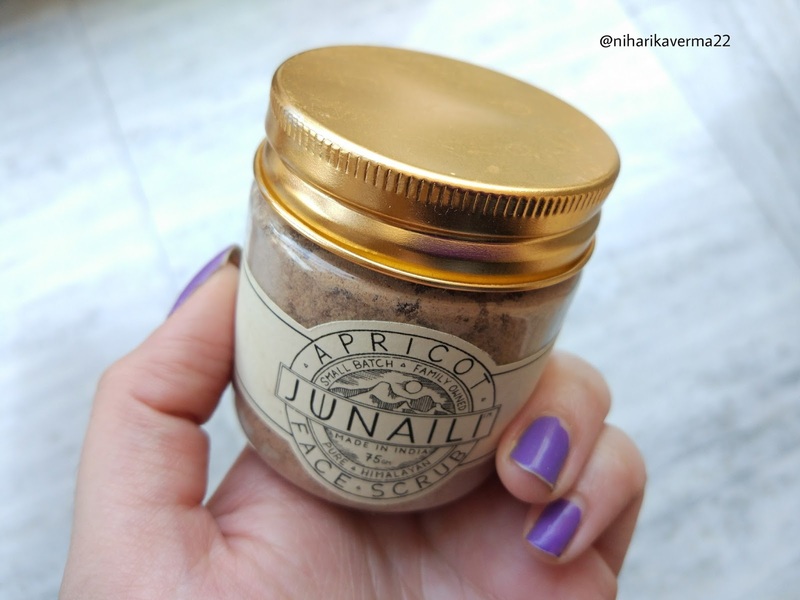 I always wash my face with a mild cleanser before exfoliating with this scrub. Please Note: Do not wash your face with a strong cleanser before any scrub. Junaili products are wonderful. I have used their face oil and body scrub. Both are quite effective. I wish to give it a try then. Beautiful pics!! Very detailed review!! Loved it 💗💗 this scrub sounds amazing with all natural ingredients!! The brand is totally new to me! Will look forward to try few products from them! !